Michele Morgan from Oregon says: "Get some rubber boots and a raincoat for you and your dog." Angelenos aren’t exactly pros when it comes to dealing with heavy rains. That's why we turned to our friends in Oregon, Washington and Illinois for tips as El Niño draws near. From driving advice to rainy day activities, here’s what they suggest. Now let's cross our fingers for a wet winter. Nothing sparks frenzy across Los Angeles freeways like that first heavy raindrop hitting a windshield. Or at least it seems that way. According to the California High Patrol, accidents jump by at least 200 percent when it’s raining. While fender benders are inevitable, local drivers should heed these simple tips from the more experienced. The two most popular: Slow down and get new windshield wipers. Prepare to have lower visibility in your car! Double your following distance, take an extra heartbeat before making maneuvers. Turn on your lights! Give people more space. Born and raised in SoCal, now an Oregonian, and I can tell you that when we come back, we feel like we're driving in the Indy 500. It's insane! Tires that are too worn are a huge safety risk and affect not only stopping distance and potential of hydroplaning, but also can lead to steering issues with hindered traction. Brake pads that are worn along with wet brake rotors are two things that can easily cause the inability to stop the car. For PHEV or pure EVs, do expect a hit on battery range when using window defoggers or other creature comforts to stay warm. Do not try to ford any deep water. You're just asking for a costly engine rebuild. Keep the air conditioning on all the time to keep the inside windows from fogging up. Keep a towel in the car to wipe windows and mirrors. Allow more distance between vehicles, slow down, anticipate changes in acceleration. Also: Pro tips from a stunt driver. You probably already keep an umbrella handy in your car. But many people from rainy states told us that sometimes it's best to go without — especially when it's windy. Just make sure you're dressed for the weather. Here is some of the sartorial advice we got. If it is going to be windy, leave the umbrellas at home. A good waterproof shell is all you need for limited trips, and umbrellas get flipped and are a pain in the wind. Plan on getting wet. Wear sneakers if you don't have rain boots. Bring a change of clothes in a plastic bag. Rain gear now is available in stylish designs and appealing colors. I prefer high-visibility colors like orange or yellow. Buy your rain gear at an outdoor supply store, such as REI. Don't bother with general department stores, or discount stores. Also, waterproof bags to carry stuff (e.g. groceries) in when you're outside. Find a raincoat that fits your style. They come in everything from dramatic to outdoorsy — if it fits your style, you will remember to wear it. 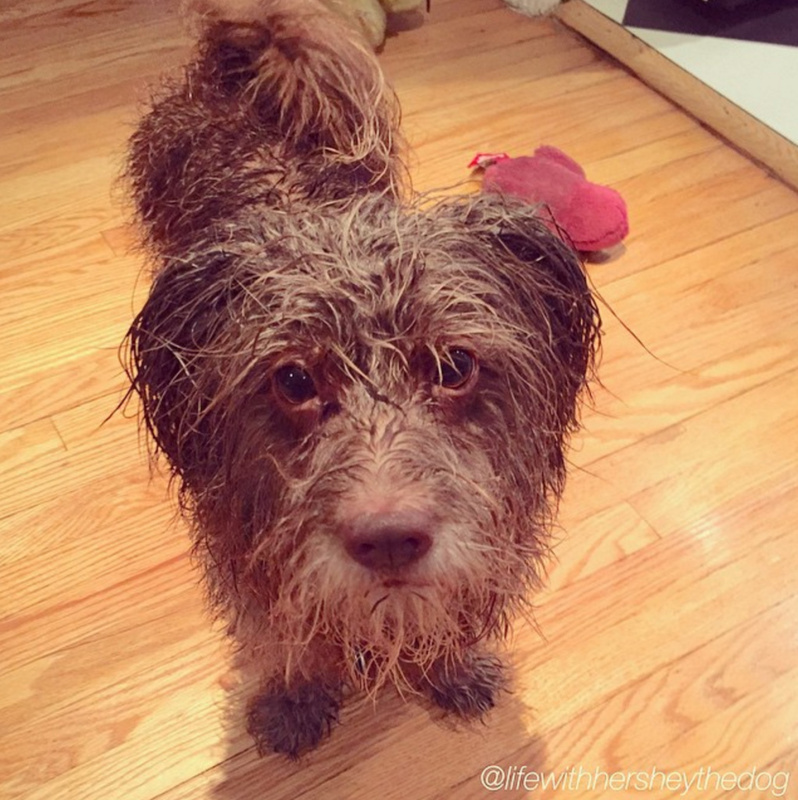 Get some rubber boots and a raincoat for you and your dog. We've given you plenty of advice on making your lawn drought-friendly. Maybe you even made some cash in turf rebates. But what now as El Niño rolls in? First, get free sandbags from your local fire station if needed. Then, listen to tips from Oregon homeowners who know a lot about preparing their abode for a deluge. Make sure gutters and downspouts route water away from house. Repair roof if needed. Make sure their roofs, windows and exterior drainage are in good shape. Sweep off any debris on walkways and driveways to prevent accidental slippage. Set any smart lights to turn on a bit earlier or longer due to overcast. Sandbags if on a flood plain. The overwhelming advice we got on how to spend a gloomy day: Enjoy it. (A suggestion echoed by our listeners on Facebook.) Here's how they do it in other states. What gloom? Exercise outside during the daylight hours to avoid seasonal affective disorder. I was amazed to see once I moved to Portland that the rain doesn't stop anyone. Kids still play sports; people are still active outside. Life doesn't change much because if you let rain stop you here, you'll never get out. Some of my most enjoyable runs were in the pouring rain. No joke! Another option is to learn about the Danish concept of "hygge." Basically instead of fighting the wind, you're using it to fill your sails. As it pertains to rain and gloomy weather, embrace it! Set candles around the house; put a cozy blanket on the couch; make tea or coffee; and curl up with a book, a movie or a friend. It's all so much more cozy when the weather is nasty outside and you're comfy inside. Portland summers make for the perfect outdoor party weather, but my favorite season to throw a party is the fall and winter. If you learn to embrace it instead of fighting it, it can be a wonderful time of year. Will you be taking their advice? Let us know on Facebook, Twitter and Instagram.